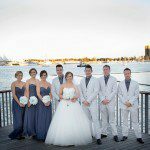 Broadwater Parklands Wedding ceremony venue is quite popular for weddings. Have a rooftop ceremony and say your “I do’s” amidst an amazing backdrop. This stunning park has several options with sweeping aspects and gorgeous views. 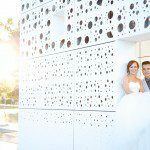 There are so, SO many cute & unique settings for amazing photos & styling options with Circle of Love Weddings. The Broadwater Parklands is a newly developed foreshore park featuring 3.2 kilometres of picturesque waterfront landscapes featuring cutting-edge urban and environmental design. The combination of rolling green lawns, calm clear water, the Surfers Paradise backdrop and a selection of distinctive man-made and natural features provide the ideal setting for that special day. The Rooftop provides an intimate setting with uninterrupted views across the Broadwater. The Pier is a stunning setting uniquely found at the Broadwater. Another option ideal for more intimate romantic ceremonies is Pandanus Point, a natural water setting with a deck designed especially for weddings. Lastly, Anzac Park offers a large beautiful manicured lawn with an option for a smaller ceremony on the deck. The Rockpools Café is also located within the park and can look after all your onsite catering requirements.